If you are thinking about selling your Class A, B or C motorhome or travel trailer look no further. Your consignments are welcome at Recreation RV Sales!! Our team specializes in maximizing your return while being competitive in the marketplace for fast moving sales. These services combined with our location and visibility off I-15 in Draper, UT. makes us the leading destination for consignments and sales. Maybe you’re looking to trade your RV in on something in our inventory. 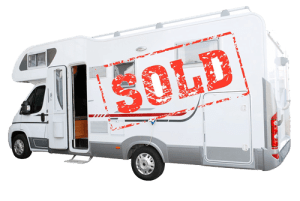 Rest assured that all motorhomes and trailers in our inventory have undergone an extensive 74 point systems check by our master technicians to give our customers the satisfaction and comfort to know they are buying a quality used RV. We also offer Free Courtesy Dealer Appraisals for individuals looking to self sell. You can also contact our service department to have them inspect your RV that you are selling or buying to ensure everything is in good working order.